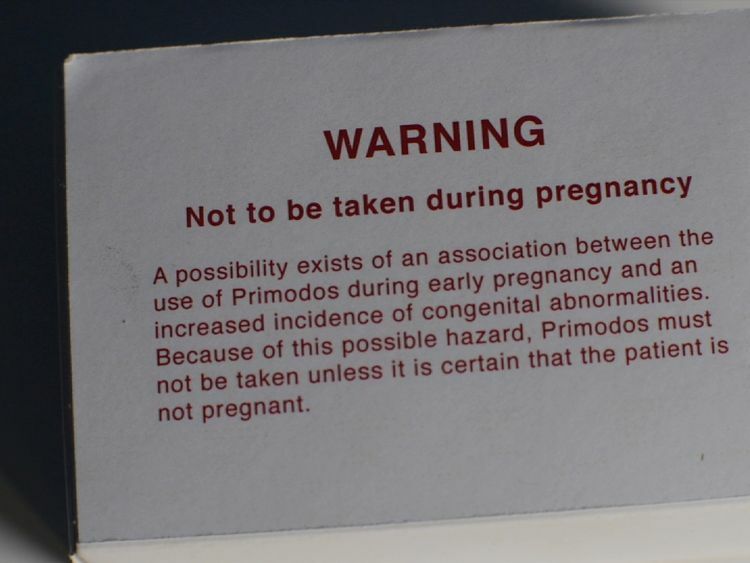 You may have seen the documentary on Sky News last week on Primodos, a drug given in the 1960s and 1970s as a pregnancy test and the cover up of its adverse affects (you can read the full Sky article here or watch it here). I thought it would be an appropriate topic for Talk About It. The doc was presented by Jason Farrell, and from the start you could tell that this case has stuck to him. He’s invested. He and his team have been working for six years investigating Primodos, and have met with the affected families. It would be hard to not be invested. So what is Primodos? It’s two tablets, containing the synthetic hormones norethisterone acetate and ethinyloestradiol. It was given as a pregnancy test in the UK between 1953 and 1975 – you took one tablet the first day, and another the second day. If a vaginal bleed occurred, you were not pregnant. If there was no bleed, it was considered to confirm the pregnancy. Norethisterone is used in lower doses to treat abnormal bleeding from the uterus, endometriosis, and amenorrhea. It is also used in the contraceptive pill and the emergency contraceptive. There is speculation that it was also used as an abortive in other parts of the world – the documentary cites it being used in South Korea by prostitutes. So there’s conflicting scientific information (as there pretty much always is). But after Dr Gal’s claim, a lot started to happen with the drug. In 1970, its licence as a pregnancy test was removed. In 1975, a warning was placed on the packet (above). And in 1978 it was voluntarily removed from the market, given the advent of the pregnancy test we all know and love – the pee stick. At about the same time that this was going on, an internal review was being carried out. Dr William Inman, who at the time was the principal medical officer for the UK government, conducted a study over five years. He reportedly made a finding that women who took a hormone pregnancy test like Primodos “had a five-to-one risk of giving birth to a child with malformations”. But don’t they test drugs before they give them to people? Companies are absolutely supposed to, legally and ethically it falls under their duty of care (and of conscience, I would imagine). But it appears that Schering failed to carry out any kind of toxicology testing before Primodos was released in the UK and Germany. So Primodos seems to be have released to the market, and prescribed by doctors to pregnant women, with no evidence of it’s safety. After the thalidomide scandal (1961), teratogenic testing was common. So what was the reason for it not being carried out with Primodos?